Experience a revealing exploration into the most perplexing aspect of life. Take charge of learning how your own inner landscape--your relationship with yourself--is at the core of everything, everyone and every situation you encounter. 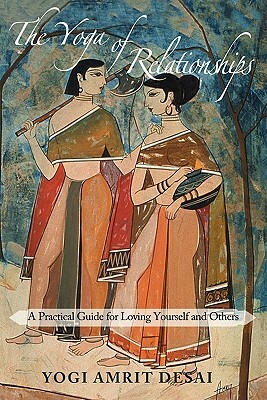 The renowned Yogi Amrit Desai shares his piercing insight about the true nature of relationships delivered in a plain-English explanation of yogic teachings, peppered with humor, wisdom and personal anecdotes. This rare book is both a spiritual and practical guide to gaining a clear understanding of how communication, gratitude, forgiveness, awareness and love itself play pivotal roles in creating lasting relationships.